FAIRTOP FAST FLOOR MICRO is a pre-blending compound having selected cements, hard wearing graded aggregates modified with special polymers and flow agents. It is supplied as a dry powder which requires only the addition of water to produce a self-smoothing, free flowing material. • Achieves exceptional drying and curing times while at the same time delivering a strong level platform. • Suitable for repairs of old floors and toppings for new floor. • Thermal expansion properties similar to concrete. • Suitable for thickness’ ranging from 1 to 2 mm. • Impervious to liquids but permeable to water vapor. • Provides Hygienic, aesthetic, non-porous and a dust free floor. • Dimensionally stable and can be installed in a large area. 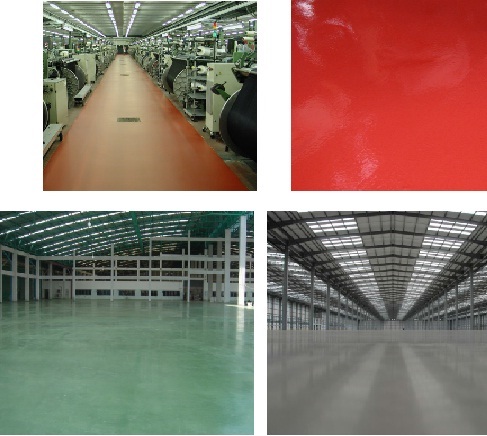 FAIRTOP FAST FLOOR MICRO is suitable for use in Industrial ware houses, factories, & suitable for use in schools and hospitals, commercial buildings, up grading and refurbishing of existing internal concrete slabs. It can also be suitable for use in car parking and light to medium engineering operations. required. All dust and debris must be vacuumed away to leave a clean and dust free surface. Priming is required and undertaken with FAIRCRETE SB(L) – an acrylic primer. Apply two coats of primer by roller, brush or spray. Apply the primer to the prepared surface and allow drying. (Normally overnight). For the second coat, dilute one part FAIRCRETE SB(L) to three parts water and apply to the previous coat. Allow to become touch dry before application of FAIRTOP FAST FLOOR MICRO. FAIRTOP FAST FLOOR MICRO is mixed applied by specialist mixer /pump. Measure 3.6 liters cool, potable water, into a suitable sized mixing vessel and mix full bag of FAIRTOP FAST FLOOR MICRO. Mix the composition for 3 to 5 mins. until a homogenous mix is observed. Mixing shall be carried out with a slow speed drill (400-500 RPM) fitted to a paddle attachment. Pour the material, immediately after completion of mixing, on the dry, primed surface, spread with a trowel and allow to ‘self level’. The required thickness of 2-3mm must be achieved in one application, for better durability a sealer coat of SAFECORE PUD should be applied which increases abrasion. For best results, the pouring and leveling should be a continuous process. If complete flooring is to be done, material pouring shall be started from dead end. (From the farthest end of entry / exit location). Note: If the mix stiffens, it should be discarded. Do not attempt to re-mix with water. In normal conditions, FAIRTOP FAST FLOOR MICRO does not require curing, but in harsh climatic conditions of direct sunlight, drying winds etc., freshly hardened surfaces should be covered completely with a polythene sheet for 2 days. FAIRTOP FAST FLOOR MICRO is available in 18 kg HDPE bag. Coverage will be 1.8 kg/m² at 1mm thickness.